Shortly after the Civil War, our great-grandfather, Francesco Passalacqua, arrived in California from San Lorenzo della Costa, Italy. 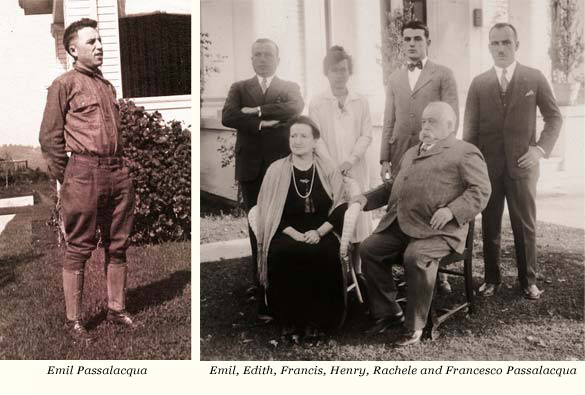 Like many Italian immigrants during this time, Francesco settled in Sonoma County hoping to achieve the American Dream. He financially supported himself by selling produce from a vegetable wagon. By 1896 Francesco had earned enough money to purchase a ranch in Alexander Valley for the cost of ten gold coins. Francesco and his son Emil, our grandfather, planted Zinfandel grapes on this ranch. Emil used the grapes from those vines to make wine at the then family owned Fitch Mountain Winery and Oliveto Winery. Emil owned and managed this ranch. He married Camille Young, and they raised their children on this land. Today, Emil’s son and our father, Fred, oversees the day-to-day operations of the vineyard. Under Fred’s ownership and management, the vineyard now includes varietals such as Merlot, Syrah, trellis Zinfandel as well as the original old vine Zinfandel. 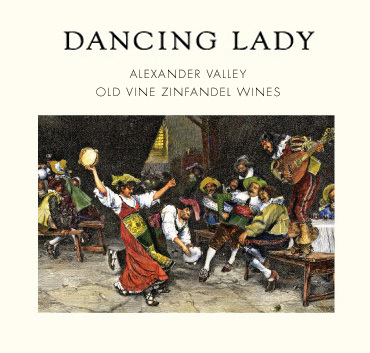 In 2005, we began Dancing Lady Wines. The wine that we produce today is made from the original Zinfandel vines planted by Francesco and Emil. With Fred’s expertise as a viticulturalist, the original old vines continue to yield the highest quality grapes in the area. Emil’s granddaughter and Fred’s eldest daughter, Gia, follows in her grandfather’s footsteps as the winemaker for Dancing Lady Wines. We are proud to continue this family tradition. Dancing Lady Wines is the result of our love for family, heritage, and land as we continue a family legacy started so many years ago.